September 13, 2018. 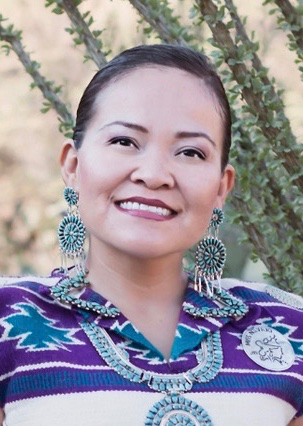 Native Waters on Arid Lands team member Karletta Chief, Ph.D., was honored today by the Council for Opportunity in Education as one of eight former students who were either low-income and/or first in their family to attend college, for remarkable contributions to her profession. The Council for Opportunity in Education recognized the eight as 2018 National TRIO Achievers, so named for the federal TRIO college access and support programs that have been helping low-income, first-generation students and students with disabilities succeed in college against all odds for more than 50 years. Congratulations to Karletta from the NWAL team! Information about this award came from a COE press release.